Mr Vincent will be quite happy to see this post finally happen. He's being banging on about it for weeks and rightly so because I hadn't heard these recordings for some years and hearing them again remindes me what I first saw in the band. I think I sent away for this tape, probably in 1990 after it was advertised on an insert in one of their 7" singles. I always liked the raw vunerable sound the Fat Tulips seemed so good at creating. In fact I think I'll go and dig out their one and only album "Starfish" right now. The sound quality is a bit dodgy on the first five tracks but then it improves somewhat. It is only a demo after all. I travelled around Europe with the singer of the Fat Tulips for three months back in 1994. She was then masterminding the submission of the world to the might Melons, her band after the Fat Tulips. She even wrote a song inspired by our trip called From Hell To Helsinki. Ahh yes. I remember Melons and I'm fairly sure I've got a copy of "From Hell To Helsinki" kicking around somewhere. 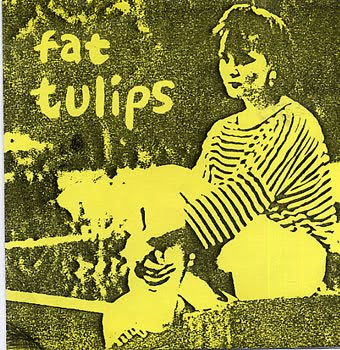 I'll dig it out over the weekend and include it in Pod Fodder 5.
i would love to hear the fat tulips demo. any chance for a reup, please?